The VA Southern Nevada Healthcare System is hosting a Veterans Town Hall meeting to update the Pahrump-area community on VA services and care. The meeting runs 1-2 p.m., Sept. 25 in the Pahrump Community Library, 701 East Street. 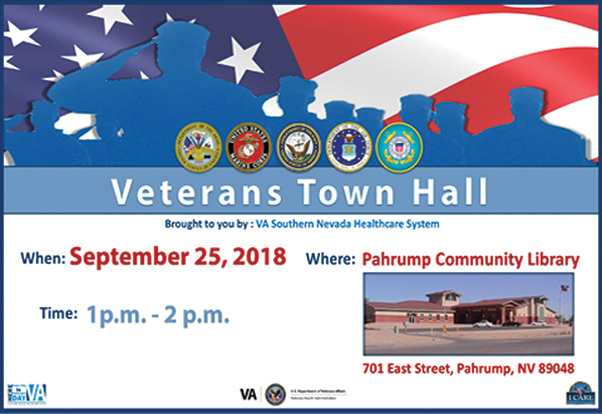 The town hall will offer veterans an opportunity to receive an update on VA services and care in the Pahrump community and within the VA Southern NV Healthcare System. 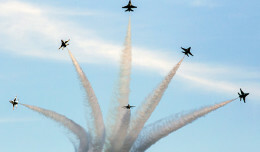 Subject Matter Experts for services and programs the VA currently offers will be on hand to assist with individual issues and/or challenges to accessing services. Veterans who have questions or topics that are applicable for a town hall audience are welcome to submit them to vhalaspao@va.gov before the event or via a comment card during the Town Hall.